The firm said today that it was “reviewing strategic options” for that part of the business, which “may or may not lead to any divestments or new partnerships”. 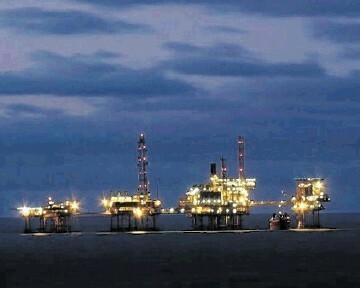 Perenco’s gas production in the North Sea stands at around 72,000 barrels of oil equivalent per day. The Sunday Times reported that Perenco was looking to sell a package worth more than £500 million, and would include its stake in the Bacton gas terminal in Norfolk. Investment bank Tudor, Pickering, Holt & Co is handling the process, the report said. A spokesman for Perenco said: “As part of an assessment of its future global investment priorities, Perenco is reviewing strategic options for the southern North Sea gas business, which may or may not lead to any divestments or new partnerships. The company was founded in 1975 by Hubert Perrodo, who died in 2006 on a hiking trip. It is now owned by his widow Carrie, 66, a former model.